Look, I know it’s trite, but I have to say it. Necessity is, indeed, the mother of invention. In this case, not so much inventing but, rather, repurposing. I admit that I get a crazy little kick when I see something around the house that got its start as a completely different entity. 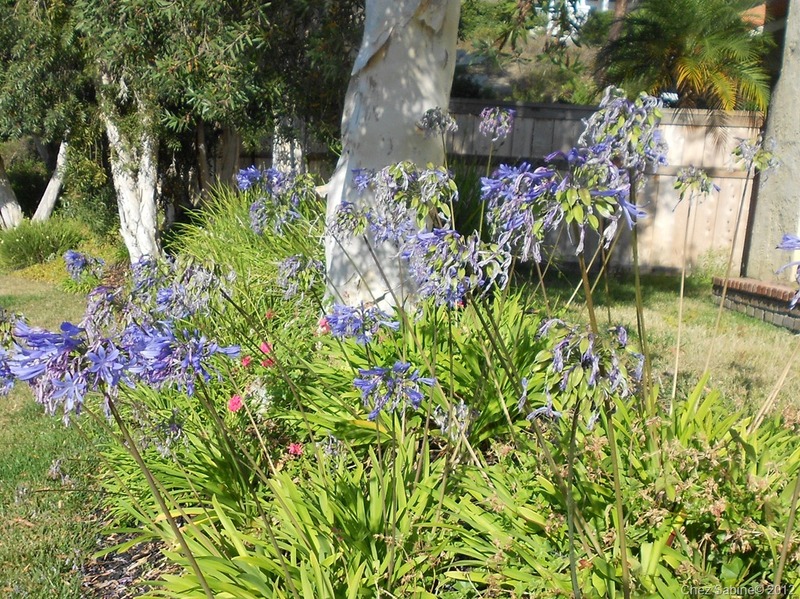 First, take a look at these perfectly lovely agapanthus (Lily of the Nile) whose blooms have just started to wither because their life cycle for this season is coming to an end. 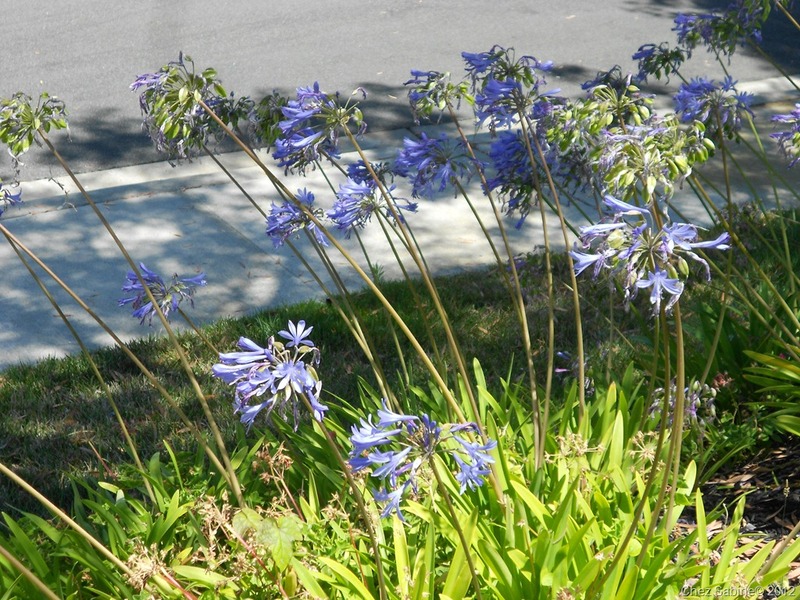 Some of the pretty blue blooms are starting to dry up and, soon afterward, they’ll drop to the ground. That’s when the spiky heads and long slender stems get cut back so that they can return for next year’s colorful summer visit. As usual, you guys are amazing! Love the birdhouse. I was thinking you could use the solar LED’s to rig around the birdhouse for landscape lighting. Jinny, great idea. You know they won’t go to waste. They’ll pop up somewhere, somehow.